Our Marshall, MN location is in the parking lot of the Goodwill of the Great Plains and O'Reilly Auto Parts. It's just off of Floyd Wild Drive from East Main Street and on the same road as the Super 8 and Sundance Auto Repair. You might even see it from standing in the Walmart Super Center parking lot. 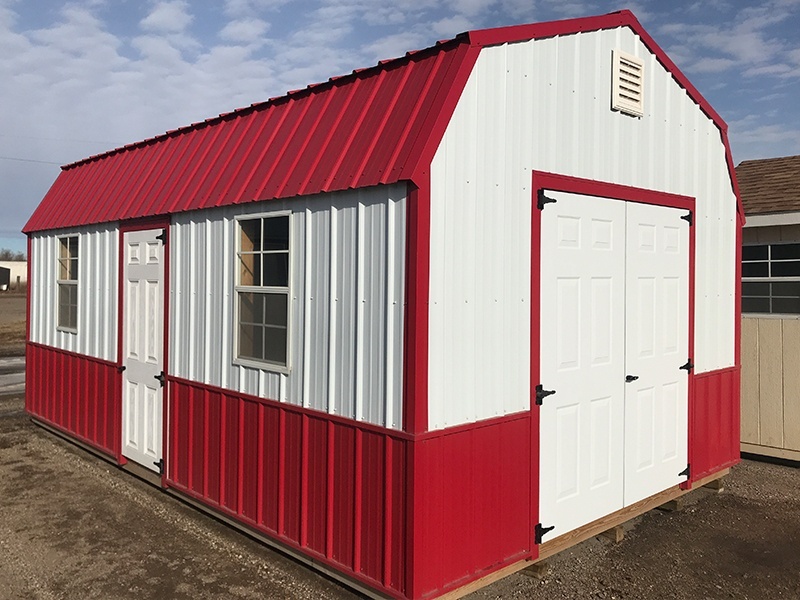 It has 5-6 sheds or garages on it at any time. 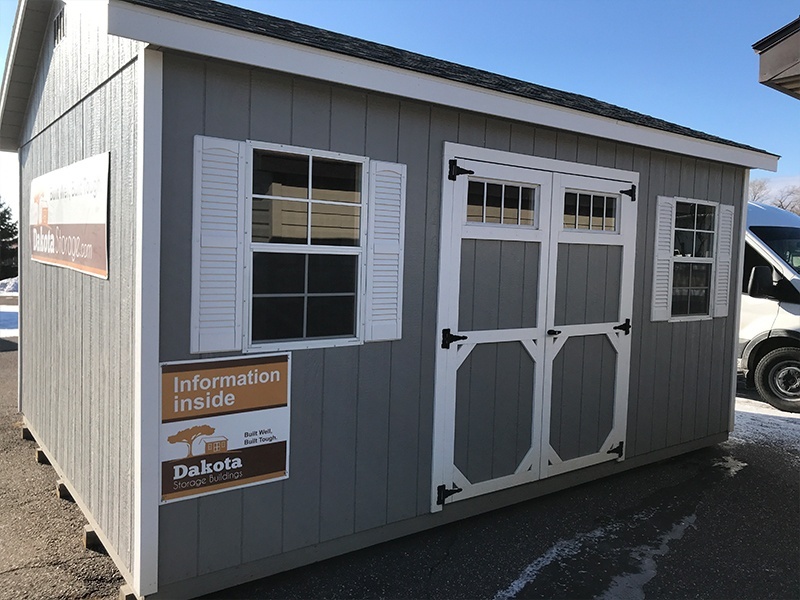 Each Dakota Storage shed in our Marshall lot is open to explore whenever convenient. The lot is unattended by personnel, however, there's an information shed with options for reaching us. It's filled with brochures and product specs. If you have questions or if you would like to set up an appointment to meet with a sales representative, please call 507-593-7582. 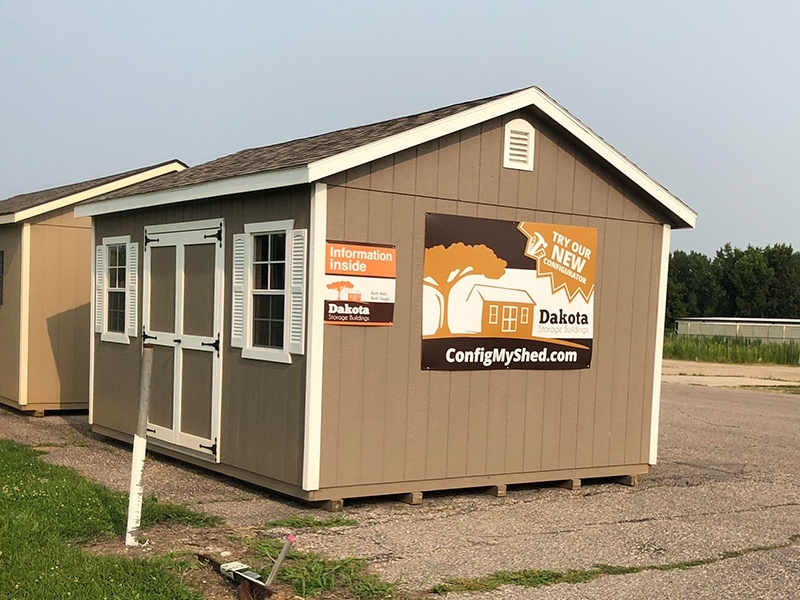 Check out your view of the storage shed lot for an idea of how to find our Marshall location. Marshall, Minnesota is a city in Lyon County. It's the home of Southwest Minnesota State University as well as Schwan Food Company, one of the largest frozen food companies in the US. Their community is conveniently located just off three major highways, meaning that anywhere you need to go in the city is just a short drive away! Check out the city's Chamber of Commerce site for a list of events near Marshall. Call 507-593-7582 to find out more details about our discounted products!